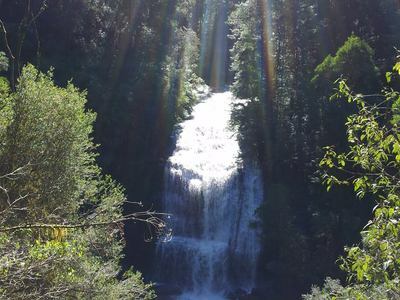 Triplet Falls is one of the most iconic and gorgeous tourist attractions in the Great Otway National Forest; it's a triple treat for tourists. 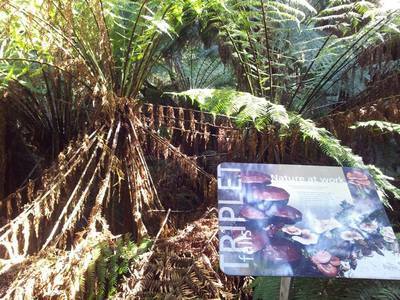 Triplet Falls can be found deep inside the ancient Beech forest of the Great Otway National Park. Once you have parked, prepare yourself for a 2 kilometre walk through stunning scenery as you wind your way through Mountain Ash, Myrtle Beech and mossy tree ferns that call this beautiful rainforest home. The width and height of the trees is awe-inspiring--some of them are over 200 years old. 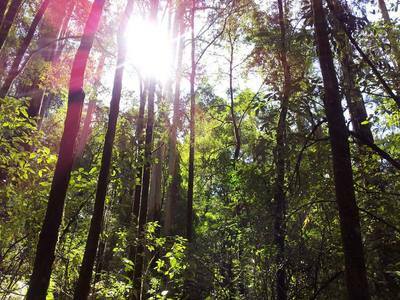 Keep your eyes peeled for elusive wildlife and enjoy the fresh dewy scent of the rainforest. You can walk as fast or as slow as you like. It takes up to 1 hour for a return journey through the mystical forest. Watch out for beautiful snails and slippery, steep steps as you make your way through. One of the first stops is a vantage point which gives you a spectacular view of one of the falls. Don’t stop there, proceed to climb upwards on the left side of the first lookout, you will be led to the second lookout where you will be able to see all three waterfalls. Ascend further up and you will reach the third viewing point which gives you a restricted view of the two of the falls. The only sound that can be heard is the water cascading down huge rocks. On the way back from the Falls there are the remains of an old sawmill. 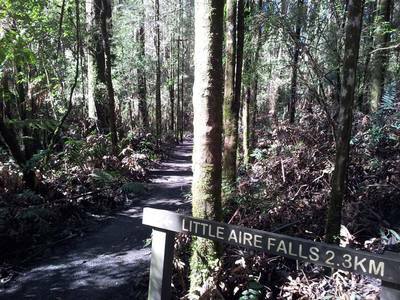 If your adventurous spirit is still unvanquished, feel free to take a walk to the Little Aire Falls; a 4.5 kilometre return journey taking up to 2 hours, situated adjacent to the Triplet Falls walk. This journey is more strenuous however its beauty makes it worth it. The Little Aire Falls can be viewed from a 8 metre platform. Just remain on the path and there is no chance of getting lost. Rain jackets and thick boots are recommended. 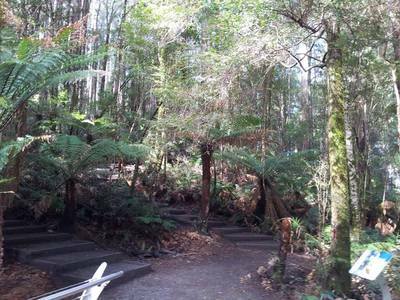 Triplet Falls is located 200 kilometre from Melbourne and 70 kilometre from Apollo Bay. 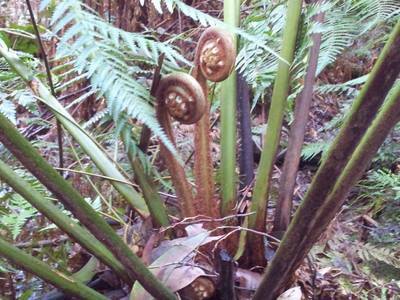 Just follow the signs from the Beech Forest - Lavers Hill Road, the falls are 3 kilometre past the Otway Fly. Best place to learn pilates in Melbourne?